Tens of thousands of visitors from India, Pakistan, Bangladesh and Nigeria will be forced to pay a £3,000 bond to be allowed to enter Britain. They will only get the money back once they leave the country in a bid to end abuse of the visa system. 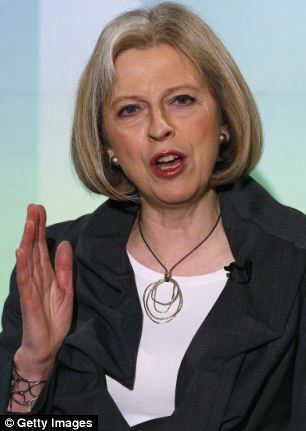 Home Secretary Theresa May said the intention was to make the immigration system more ‘selective’ and deter people from ‘overstaying’ once their visitor visa has expired. In the long-term, she hopes to extend the Australian-style bond scheme to also include foreign workers and students. The idea will be welcomed by backbench Tory MPs, who have been urging the government to take a tougher line on immigration to combat the threat of UKIP. But it is likely to face legal challenges on the grounds that – because it targets only people from so-called ‘high risk’ countries – it is discriminatory. There are also fears it may lead to countries such as India making British tourists pay a similar bond. The scheme will be piloted from November, for people from India, Pakistan, Bangladesh, Sri Lanka, Nigeria and Ghana. They are being targeted because of the high volume of visitor visa applications and relatively high levels of abuse. Immigration bonds have been repeatedly considered by ministers over the years, but have never been successfully introduced. Labour abandoned its own plans for a £1,000 bond in 2008 amid an outcry from migrant rights groups. They claim the policy is discriminatory as it does not apply to people from countries such as Australia, New Zealand and Canada. Keith Vaz, chairman of the Home Affairs Select Committee, said the idea was ‘unworkable’ and ‘impractical’. Mr Vaz, an ex-Foreign Office minister, claimed it would not deter people from trying to stay on after their visas ended, and said the targeted countries would be ‘likely to retaliate’. The policy has the backing of Lib Dem leader Nick Clegg. He suggested the introduction of bonds in March, though was proposing the level should be fixed at £1,000. 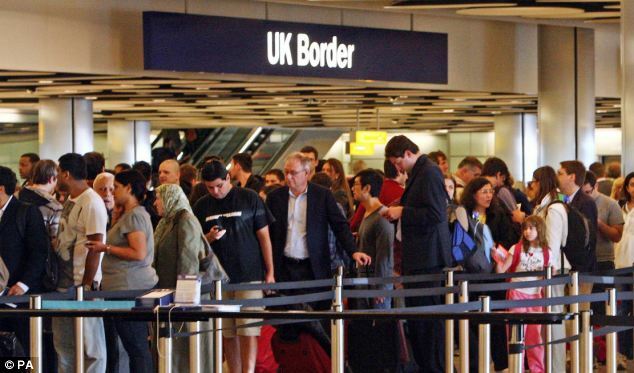 The move will require a change in the immigration rules but not a vote by MPs.